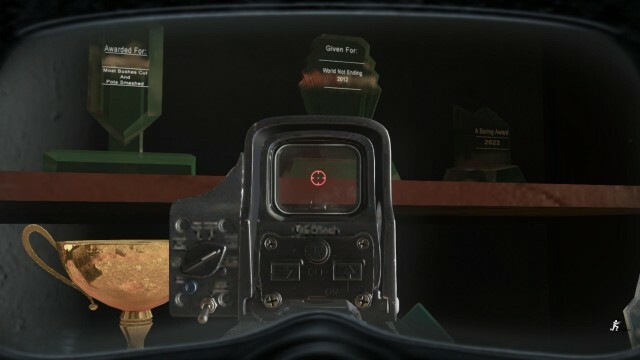 With Call of Duty: Ghosts‘ release two days ago, some people have already found a small nod to another pretty well known series, The Legend of Zelda. 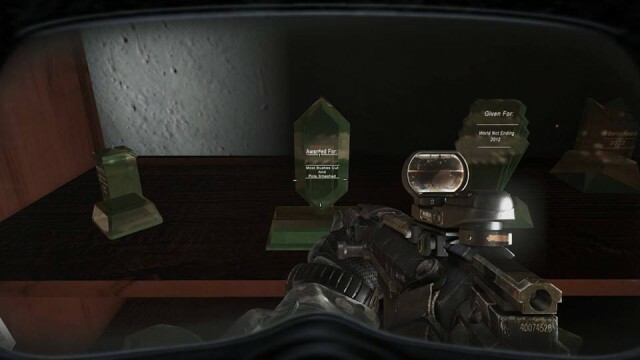 This easter egg comes in the form of a small, glass trophy in the game, along with a few other interesting trophies. Hit the jump to see a picture of this nice reference by the Infinity Ward team! The trophy itself is in the shape of a rupee, and the text says, “Awarded for: Most Bushes Cut and Pots Smashed”, something that quite notorious across the Zelda games. It’s nice to see a game that’s so far from our dear Zelda series put in an easter egg like this. The other awards include “World Not Ending, 2012”, “A Boring Award, 2022”, and perhaps even a TARDIS off to the left in the first picture?